According to a recent news article from CBS Local Boston, a truck traveling in the New England area was carrying thousands of live ducks and chickens when it was involved in a rollover accident. Authorities were immediately called to the scene and when they arrived, they found significant damage and crates of animals thrown all over the interstate. Fortunately, the incident did not involve other vehicles, and there were no reports of serious personal injury. 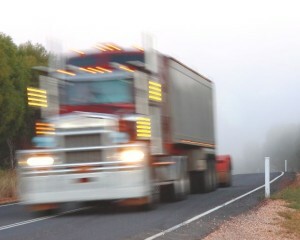 While there was no formal accusations of negligence in connection with this is truck accident, it is not hard to see how many others could have been hurt if they ran into the massive pile of debris and large number of farm animals on the highway. As our Boston truck accident lawyers can explain, when drivers or passengers in cars are injured, the first thing that will typically happen is that the truck company’s insurance will contact the plaintiffs. The person making the call is known as an insurance adjuster. They generally act like they are trying to resolve the case as quickly as possible. While this is technically true, the desire to settle the matter quickly is for the insurance company’s interest much more so than it is in the interest of injured plaintiffs. One of the things they will say when liability is not at issue, is they need to have an insurance estimator come out and see the car, either at the tow lot, or at the plaintiff’s home, as quickly as possible. This is done for various reasons. One of the reasons is that they want to see the car as quickly as possible to see what personal injury damages are likely to have occurred. For example, they will look to see if the airbags deployed, and if the rear bumper was damaged. Insurance companies typically argue that if an airbag deployment doesn’t occur, then much of the claimed damage is not real or is an exaggeration. This does not mean however, that their efforts to a claim benefits, or make a lower settlement offer will be successful, but it is very helpful to work with an experienced Boston car accident lawyer who has dealt with these or similar arguments in the past. In some cases, especially with larger trucking companies, they will not have a private liability insurance carrier as it would be cost prohibitive. In these cases, the trucking company will be self-insured. In order to be self-insured, the company must gain the approval from the Federal Motor Carrier and Safety Administration (FMCSA). The FMCSA requires a trucking company to prove that they have the assets and capital to pay up to $1 million in liability related damages for any given auto accident. While this can save costs for the trucking company, it still does not mean the company will be so quick to make a reasonable settlement offer in the event of a serious or fatal truck accident involving a fleet owned vehicle. The company will likely have plaintiff’s lawyer work with in-house legal counsel, or possibly outside general counsel to negotiate a settlement agreement. Just like with a private insurance company, if the case does not settle, the plaintiff will file a case in the Suffolk Superior Court in Boston. In addition to the claims against the truck driver, a vicarious liability claim is likely possible against the trucking company so long as the driver is an employee of the trucking company. This can get more complicated if the driver owns his truck and is classified as an independent contractor, but that arrangement is not as popular as it once was due to changes in the economy. This is contrary to what we are seeing in other sectors where the so called gig economy is becoming more prevalent. If the driver is not an employee, the trucking company not be deemed vicariously liable for torts committed by the driver. In situations where the driver is an employee within the statute, the employer will probably be liable so long as the driver was acting in furtherance of the employer’s business interests at the time of the accident. If the driver was hauling a load for his or her employer at the time of the accident, this may not be so hard to demonstrate. A employer likely has more liability insurance than the employee alone so this is one reason why and employer may be made a defendant whenever the facts will permit such action. This is however, a case by case determination so plaintiffs should discuss this with their prospective attorney during a free initial consultation.